Ahead of the special CBI court's sentencing for Lalu Prasad Yadav in the 1996 fodder scam case, the RJD chief on Friday moved an application before the court seeking minimum sentencing citing his poor health condition. According to an India Today report, Lalu requested that he be awarded a minimum sentence on health grounds over his diabetes and heart surgery. 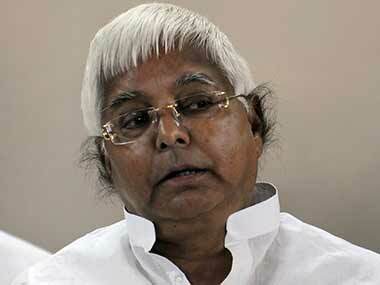 The RJD leader also said that he was suffering from a bladder infection. According to the report, in his application, Lalu said that the Birsa Munda jail did not have clean drinking water and this may affect his kidneys. He also added that the jail did not have any super medical facilities. The special CBI court in Ranchi will announce the quantum of punishment on Friday, two weeks after it held the former Bihar chief minister guilty in the case. The court hearing the case had pronounced Lalu guilty of fraudulent withdrawal of Rs 89.27 lakh from the Deoghar treasury 21 years ago when he was the chief minister of the state. Six others, including Congress leader Jagannath Mishra, were acquitted in the case, while 15 others were convicted along with Lalu. The quantum of punishment was to be announced on 3 January, but it was postponed due to a condolence meeting held that day to mourn the death of two lawyers, a CBI advocate had told The Times of India. The death of advocate Vindheshwari Prasad, also led to changes in the schedule of the court's proceedings, as an association of advocates abstained from work as a mark of respect. Deferring the judgment to Friday, judge Shiv Pal Singh said that he would decide whether or not to give the sentence over video conferencing. To this, Lalu said he was for personal appearance and assured the court that there would be no slogans raised in the courtroom by his supporters. He said on Thursday that several of Lalu's men and 'wellwishers' had called him in connection with his conviction in the fodder scam case, according to The Economic Times. The judge added, "Laluji, we are getting a lot of references and calls for you, but I told your men that I will take the decision the way I want to, following the law." The 15 accused in the case, including Lalu, have been convicted for offences of cheating with criminal conspiracy under the Indian Penal Code and the Prevention of Corruption Act. Under the sections, Lalu can be sentenced a minimum jail term of one year and a maximum of seven years, his advocate Chittaranjan Prasad had said. In 1996, the Patna High Court had ordered an inquiry into the fodder scam cases and a charge sheet in the Deogarh treasury case was filed against 38 people on 27 October, 1997. Eleven of them died and three turned approvers while two other accused confessed and were convicted in 2006-07, a CBI official said. 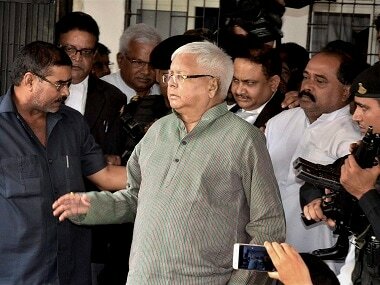 On 30 September, 2013, Lalu, Jagannath Mishra and several others had been convicted in another case pertaining to illegal withdrawal of Rs 37.7 crore from Chaibasa Treasury in the early 1990s. The latest conviction is the second in the scam. 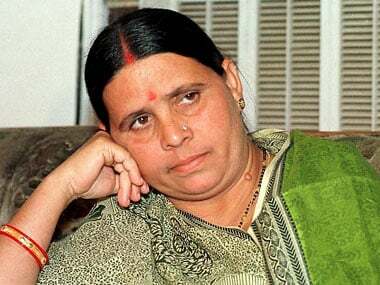 Lalu faces three additional fodder scam cases for illegal withdrawal of Rs 3.97 crore from the Dumka Treasury, Rs 36 crore from the Chaibasa Treasury and Rs 184 crore from the Doranda treasury.